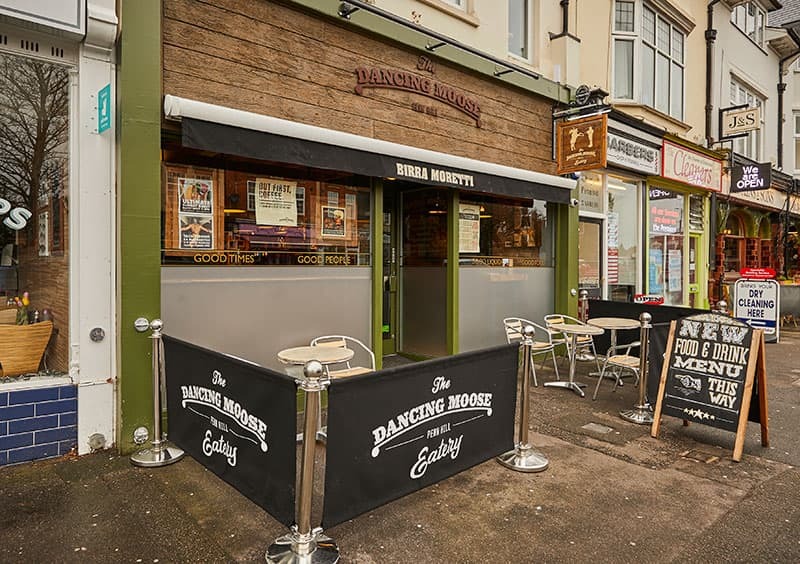 With 4 venues in and around Poole, The Dancing Moose is passionate about creating feel-good social spaces. Their restaurant-bars are locally unique but clear in their mission to provide upbeat tunes, great American fusion cuisine and exciting drinks in a vibrant environment. In December 2018, the Penn Hill venue suffered a leak which caused extensive water damage to the existing floor finish and subfloor. 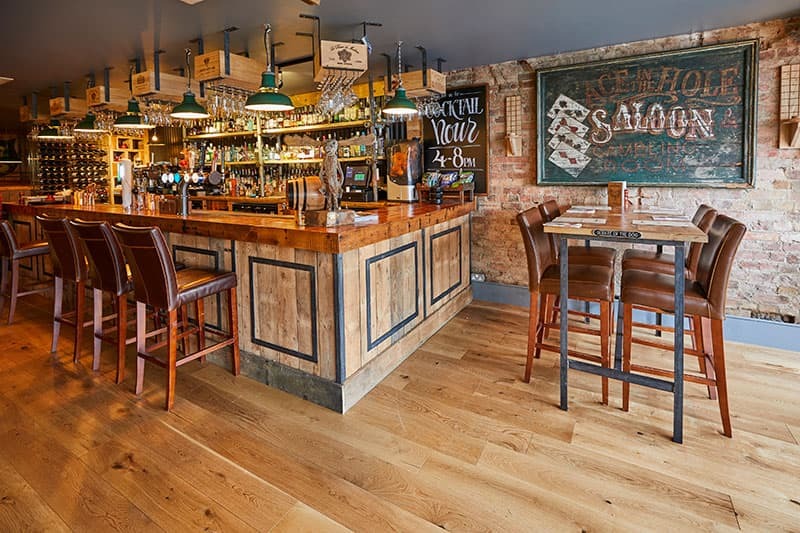 Local flooring installers Sean Morton Pro Flooring were commissioned to carry out a full floor refurbishment which involved extensive preparation work and fitting a new wood floor over the course of 4 days. The existing flooring was removed and commercial de-humidifiers brought in to help dry out the space. Floor preparation machines were used to remove excess glue residue and old latex before the subfloor was re-prepared with smoothing underlayment and a damp-proof membrane, ready for the wood floor fit. 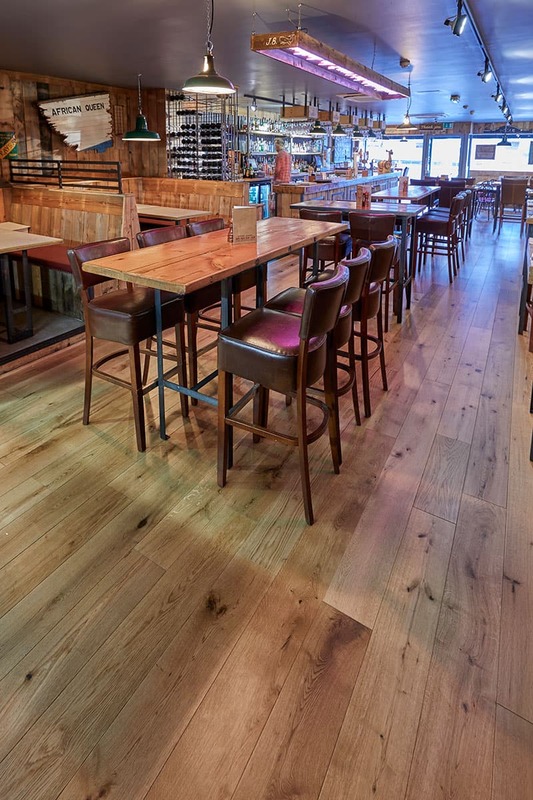 Having worked with Woodpecker for a number of years, Fitter Sean recommended an engineered wood floor from the Chepstow range. 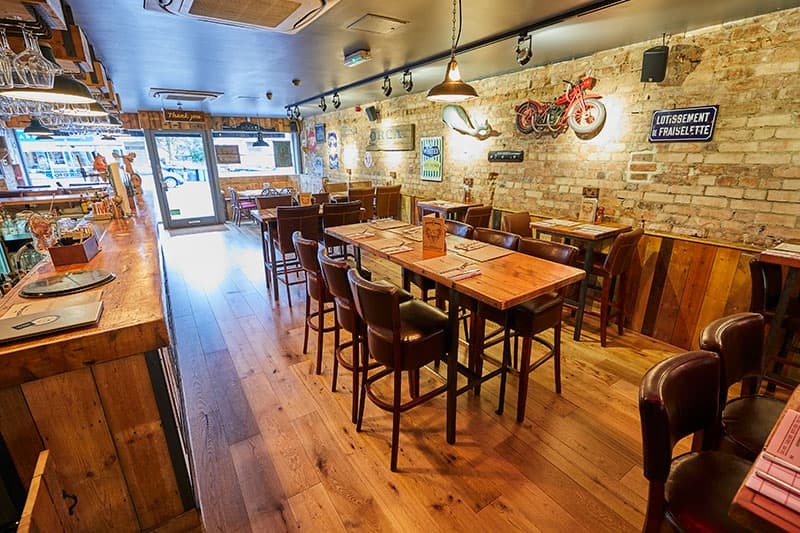 Chepstow Rustic Oak suits the look and feel of The Dancing Moose, complementing the exposed brickwork and timber panelling. 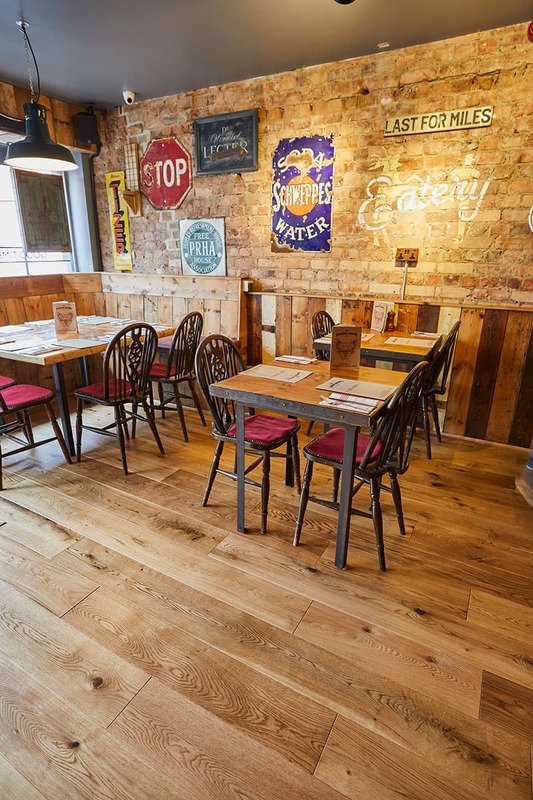 Finished with multiple coats of hardwearing lacquer, the floor is a reliable base in this busy environment, and has a 6mm wear layer of solid oak that can be sanded and refinished many times for long-lasting performance. 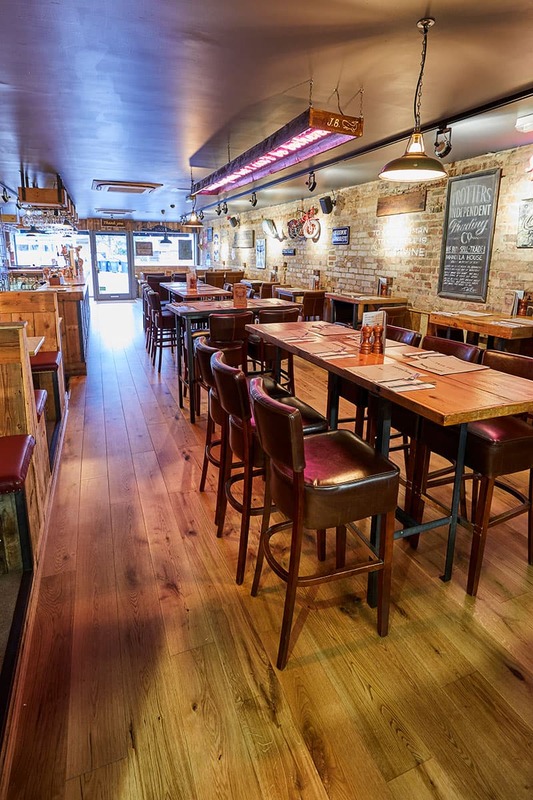 The flooring is used throughout the whole space, creating a warm and welcoming atmosphere.